Both schools are part of the Dominic Barberi Multi Academy Company set up by the Archdiocese of Birmingham to lead seven Catholic Academies in Oxfordshire including St Thomas More Kidlington, St John Fisher Littlemore, St Joseph's Thame, St Joseph's Carterton and Our Lady of Lourdes Witney. Sometimes school applications rely on knowing the parish boundaries. 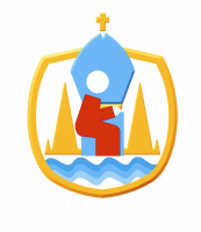 A useful Google map of all the parishes in the Diocese is available to view.